Cox Conoco has the products you need to refuel, along with supplies to enjoy Colorado’s outdoors. Get the license you need to go after deer, big game, turkey,, and small game. Cox Conoco offers quick and easy hunting license services. Apply in the store and be sure to have a valid ID with you. For information on state hunting license regulations, click here. Cox Conoco has a wide variety of snacks in our convenience store. Stop in to purchase all your favorite chips, candy, soda, and more. You’ll also find hats and other apparel by King Ropes. The rivers in Colorado have some of the country’s best fishing spots. Get what you need to squeeze in few hours after work or for a fishing trip adventure. We have live bait, lures, fishing poles, and tackle boxes, along with a propane exchange for your fishing boat motor. 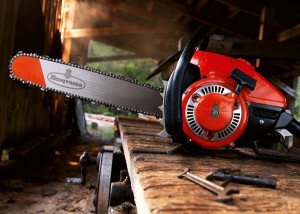 We have chainsaws available for purchase. Expedite tree and scrub trimming, cut through wood, and much more. *Include model and price information here when client sends it. If you’re looking to replace a flat tire that is beyond repair or upgrade all your tires, Cox Conoco in Mancos has Cooper Tires, with sizes to fit any vehicle from a compact car to a large truck. Our associates will help you find what you need and install the new tires for you.